To express a serious concern over the more and more reckless China’s bully and fake news attacks ramping on the internet to intervene in domestic affairs and even the critical magistrate election within Taiwan, a Taiwan NGO Group, led by Rev Lyim Hong-tiong serving as General Secretary of PCT General Assembly, holds a press conference via the assistance from Lawmaker Huang Wei-che at Taiwan congress on October 17. 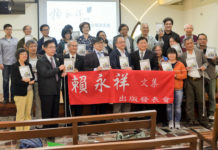 Consisted of representatives from characteristic NGO groups, including the aboriginal, women, Christian denominations and Catholic church, this Taiwan NGO Group pay their itinerary visits to many significant institutes in US: AIT(American Institute in Taiwan) Office at Washington DC, UN NGO groups, NCCUSA(National Council of Churches, USA) and the PCT Church at Washington. Well received by Mr James Heller, director of the U.S. State Department’s Office of Taiwan Coordination, and Mr John J. Norris Jr., managing director of AIT Washington Office, on Sept. 12 in Washington, Rev Lyim expresses that this Taiwan NGO Group particularly reminds US government on Taiwan’s deteriorating diplomatic crisis due to China’s vicious bully, evidenced especially in three Latin American countries forced to sever ties with Taiwan. Also, innumerable fake news released from dummy accounts whose IP address are located at China caused a big problem and confusion in Taiwan’s impending magistrate election and referendum vote, according to Rev Lyim. In response, US officials say their understand the serious implications of these fake news and they are working with Taiwan’s Foreign Affairs Ministry and Taiwan Democracy Foundation to figure out good solutions to overcome. 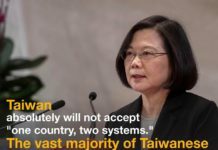 On the mutual relationships between Taiwan and US, US officials say Taiwan Relations Act will be faithfully complied by US government and a solid and close relationship is just the right words to describe current status, according to Rev Lyim, adding that US Secretary of State Mike Pompeo also gives his strong support for Taiwan. 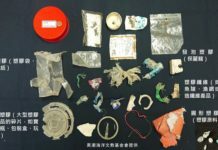 Against China’s flexing military muscles more and more aggressively in the first seven months of 2018, transiting the Liaoning aircraft carrier through Taiwan Straits several times and encircling Taiwan island with numerous flights of fighter jets, Jim Heller warns that, based on the top cross-straight priority as “maintenance of status quo”, any dispute should be resolved in the peaceful way and absolutely no bully is allowed. 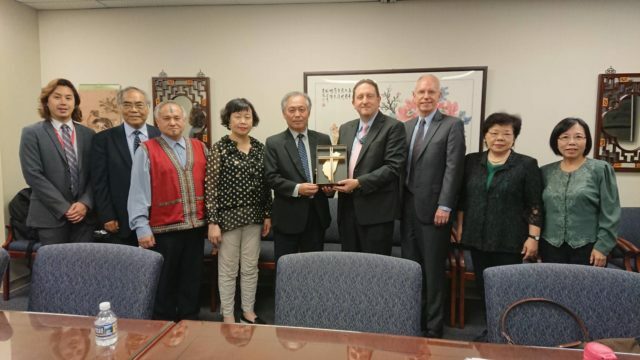 In the meantime, Mr Heller also promises to help Taiwan expand the space of her participation into international communities, for example in the projects of women rights, disease control and etc.